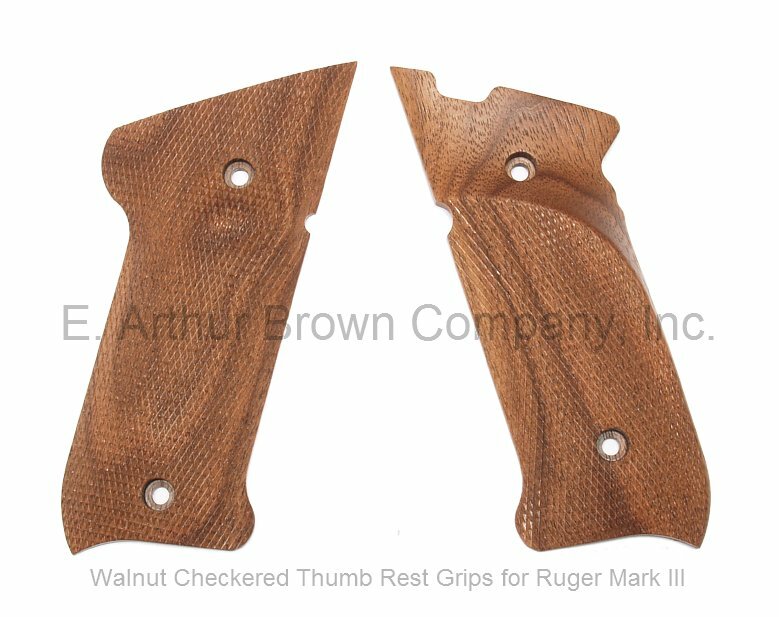 - Classic, checkered walnut, thumb rest target grips fit the Ruger Mark III metal frame pistols. These grips have a graceful thumb rest on the left side and a gentle palm swell on the right, features that help position your hand the same way for every shot. The checkering is edge to edge and just as beautiful as the wood. - These grips fit the Ruger Mark III metal frame guns.